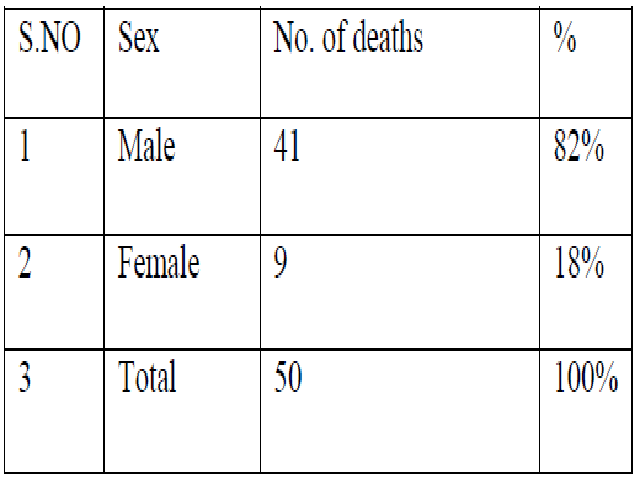 International Journal of Research in Health Sciences,2013,1,3,256-259. Assistant Professor, Department of Forensic Medicine, Kurnool Medical College, Kurnool, Andhra Pradesh, INDIA. In majority of Road Traffic Accidents involving multiple fractures of the body, the mortality is with or without associated involvement of skull fractures. When compare to head injury the other skeletal bone fractures make the patient to suffer from greater degree of morbidity. Objectives: To determine the mortality is involving multiple fractures of the body, with or without associated involvement of skull fractures. To study the other fractures in association with skull bone injuries and to compare the study. To identify the type of vehicle, manner of accident and mode of death in case of fractures of bones resulting from road traffic accident.